1. - Upgrade your kitchen and master bathroom. These are the top two areas in a home where people spend their time, so they’re naturally the spaces that buyers look at first when thinking about buying your home. 2. - Spruce up your curb appeal and landscaping. Since you only get one chance to make a great first impression, make sure that your front yard looks fantastic. It should have great edges, and there should be a nice contrast of colour between your landscaping, your garden area, and your yard. 3. - Modify your floor plan. If you have a wall that you could knock down at minimal cost, do it. If you can add square footage to a particular area in your house, go ahead and do it. Clean, open homes usually sell for more money. 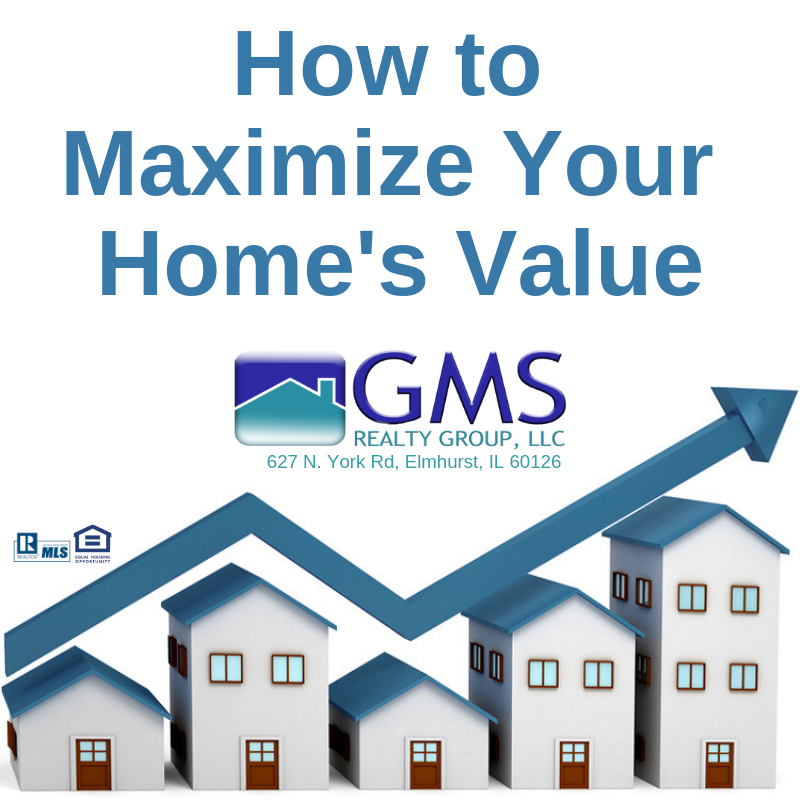 If you have any questions about maximizing your home’s value or about anything don’t hesitate to call me at 630-408-9997 I am always happy to help.